2015. I’ve been waiting for this date for a long time. Friends, my cookbook release is just weeks away now, with February 10th set as the official launch day. Brown Eggs & Jam Jars went to press about a month ago and in a few short days, I’ll be holding one of the very first copies in my hands. The best belated Christmas present? I think so. It was about this time last year when I was logging a lot of lonely hours at the library, hammering out essays, homesteading features and recipe head notes word by word. I remember one time, tugging on my coat yet again and announcing to the family that I was heading out to write, when my son Noah stopped me with a question. “Brown Eggs & Jam Jars” I responded, puzzled. Apparently one should be capable of simply turning out a manuscript at the drop of a hat. If only. Instead it is the cumulative work from kitchen counter and desk, laptop and Lightroom, assembled by many hands and carefully packaged into book form. Soon I’ll be posting a preview of the cookbook and more behind-the-scenes fun. After that, I hope to share a handful of book tour dates. For now, I have something special to tide you over until the books are on shelves: a special bundle of eight all-new recipes. Developed in my kitchen and expertly packaged by Penguin, it’s just a preview of the good things to come in the cookbook. This pre-order offer for a bonus recipe bundle is no longer available. Thank you for all your pre-orders! Brown Eggs and Jam Jars can be found in bookstores around North America and online. 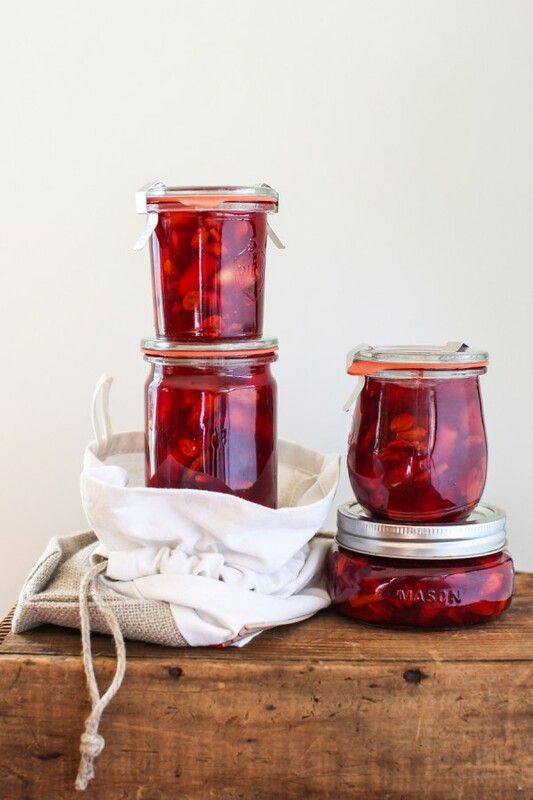 Winter preserves are every bit as delightful as their summer counterparts as demonstrated by this Cranberry Quince Conserve with Goji Berries. It’s a simple freezer conserve (meaning it is not canned in a traditional method but stored in the freezer) that is deliciously tart but has bursts of sweetness, thanks to the saucy cranberries and supple quince. I love to pair it with toast or a firm cheese and I also serve it as a garnish to a roast pork or chicken. Toasted walnuts? Yep. Caramelized shallots? You bet. 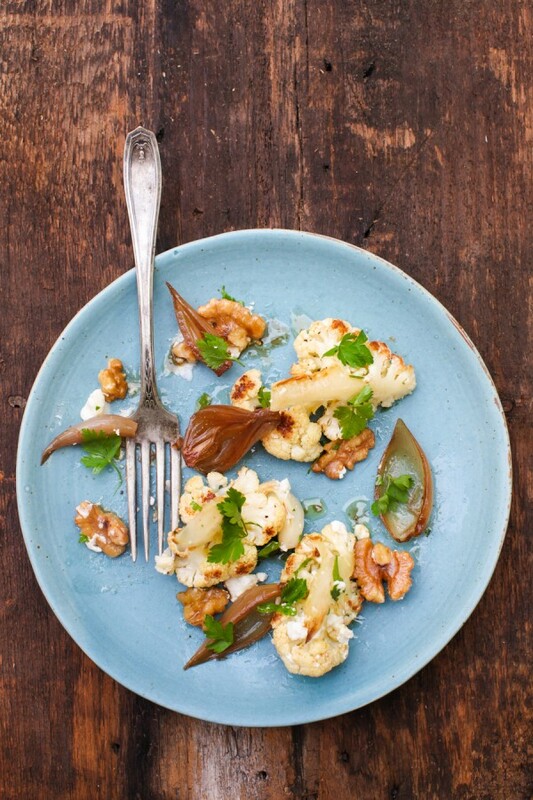 With its tangy, salty, and umami flavours, this Warm Roasted Cauliflower and Shallot Salad is our salad of choice for the winter months. You’ll want to crank up the oven right away and make this for dinner tonight. 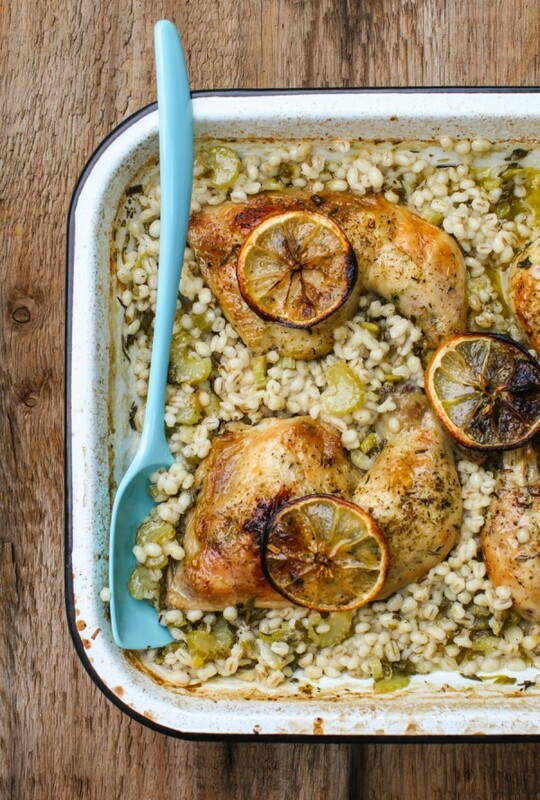 It’s only fitting to include the recipe that got us through the book-writing process in the first place: One-Pan Greek Chicken and Barley Bake. Its simple one-pan method was ideal for those days when I seldom looked up from writing yet needed a soul-nourishing dish at the end of the day. This dish never failed to make the house smell intoxicating and was always well received by everyone around the table. It’s going back on my menu this week. The kids and I are hooked on Maple Apple Chips. Hooked, I tell you. 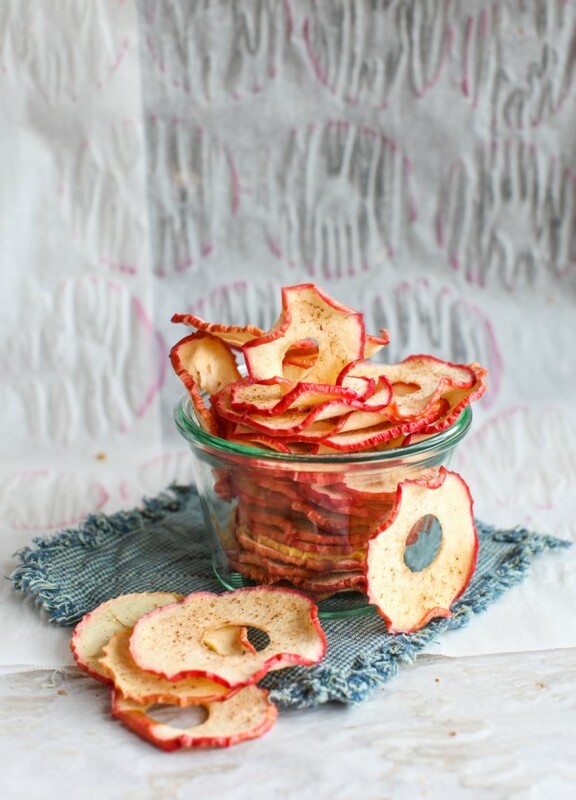 They’re the perfect grab-and-go snack, helping to stave off sugar cravings for both parent and child. Bake them up crisp, or leave them slightly chewy—either way, you’ll love them too. That’s the sneak peek! 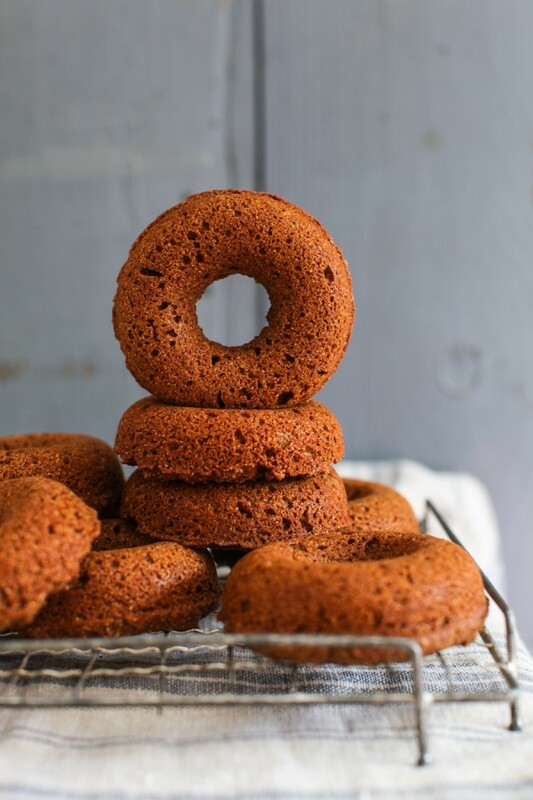 There’s also a velvety tomato soup, a snacking muffin, healthy baked doughnuts and a tomato-leek gratin that is one of our favourite “date night in” dishes. These great recipes just didn’t get developed in time to make it into the cookbook, but I wanted to send them to you anyway. I hope you love them as much as we do. Order Brown Eggs & Jam Jars! Canadian readers: Order online from Indigo. US readers: Find it on Amazon and Barnes & Noble. UK readers: Find it on Amazon. Happy New Year to you too! Thank you, as always, for reading. Thanks for the incentive to pre-order. It will be such a nice January gift to receive your cookbook in the mail. Thank you so much for the order, Beth! I can’t wait for you to get my cookbook and get into the kitchen! Absolutely beautiful Aimee!! So excited for you!! Yay! Happy New Year indeed! Can’t wait to try these and then soon your book. Happy New Year! So excited for your book! Congratulations on your book! I absolutely love coming to this site. You have such a down to earth approach to your food, feeding your family with so much love and detail. I pre-ordered my copy. Can’t wait! Jessica – that made my day. Thanks so much! I really appreciate the feedback. And THANKS for the pre-order! Happy new year Aimee! All these recipes look fantastic! Happy New Year, Millie! All the best for 2015. This is so kind! Thank you. I preordered the cookbook, and this is such a treat! I also love that one day it will arrive like a surprise – it’s my favourite part of pre-ordering! That is so exciting!!! All the best in 2015! What an exciting year ahead! Will there be an electronic version of your cookbook? Congratulations on the impending release! It’s happening the day after my birthday, so it looks like I’ve bought myself a little present. 🙂 Happy New Year! Congratulations Aimee–I’m anxiously awaiting your book’s arrival today!